Yes. I still believe in Fairy Tales. I still believe in fairy tales. I believe in laughter after tragedy. I have seen so many… many miracles happen after tragic… tragic losses. I have seen so much beauty after hardship. So much light in the darkness. So much strength in weakness. How can I not believe in life when I have seen so much of it after such loss and tragedy? Don’t ask me to believe that grief lasts forever. Don’t ask me to stop spreading the message of hope. I believe in fairy tales no matter the heartache and the loss. But we must talk about the essence of a fairy tale. What do I mean by FAIRY TALES? As it is not about perfection. It is not about the happy ending. It is about the middle, the love we had and lost. It is about the memories. The honoring of our life. The respect of our past and the belief in our future. That is what fairy tales are made of. And if a prince on a white horse shows up too… well then we call that the cherry on top. Don’t stop believing in a beautiful life because sadness has taken away your dreams. Don’t stop believing in perfect days. Don’t stop believing in funny moments. In dancing in the middle of the night because you felt like it. In meeting your second soul mate in the midst of chaos. In finding your dream job within you. In leaving your house and venturing out into the open world more and more each day. In seeing the divine in everyone. In bending reality and slowing down time. In living out loud without shame. In taking guilt and breaking her in to many pieces. In running as fast as you can and not losing your breath. 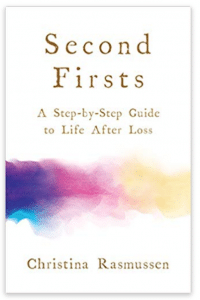 You see…I am not a fool believing in life after loss. I am just a human being able to see life in the midst of grief. And I am here to help you find your own life in the midst of yours. I promise you LIFE is there waiting for you to light her up. Waiting for you to open the door. Humans have descended on this earth to live their own fairy tales in the midst of their tragedies and that’s the beauty of humanity my dear friend. The finding of the fairy tale when you least expect it. Our little book is on its second print finally…and now amazon, Barnes and Noble and most bookstores are stocked up again. And thank you for being a part of this global movement to bring back life after it has been lost for so long. Thank you Christina for this beautiful post. Believing in fairy tales helps us deal with the grief and tragedy in life. This is my favorite one so far; thank you!! Lovely message, Christina. Thank you. It brings to mind the question…Why does our society focus so much on youth and eternal life? How would our experience have been different if somehow we were aware that life on earth also contained death? Death is a word kept in the closet. When my mother lost her father, she wept and didn’t tell us why. I was a young child, and only saw tears. Confusing tears. When my father’s mother became ill with cancer, it was hidden from us. They thought they were protecting us, but they were unknowingly contributing to our ignorance. Even now, my 83-year-old mother avoids the topic of death. Meanwhile, I have experienced death of my spouse (he was only 49; just a kid, really) and have struggled to cope as the world around me tip-toed around the death, and even worse…grief. God forbid that anyone should grieve. Grief is frowned upon. Grief is swept under the carpet. After the hugs and an “appropriate” period of time, you should be all better, right? Like putting a band-aid on a scratch. Grief is an experience that many people hope they can distract you from with light-hearted banter and wishes for new love. And yes, they mean well. They’re doing the best they can, based on their own experiences. 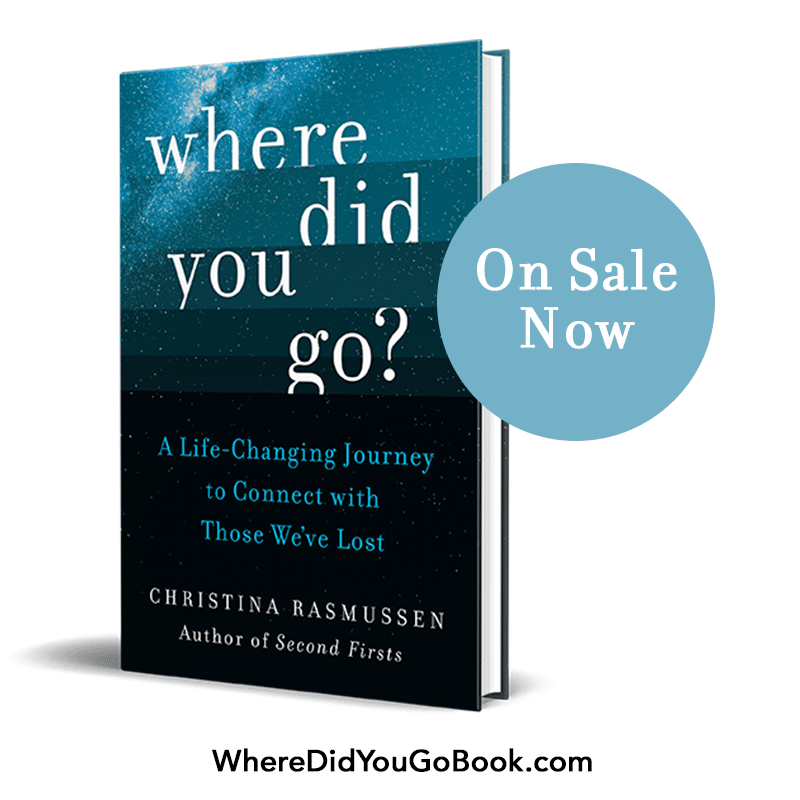 My thanks to you, Christina, for having the courage to discuss death and grief–the topic of taboo. How refreshing to find someone who actually wants to talk about it. I agree with your war-torn and hard-fought acknowledgment that life is for living, and anyone who has experienced great loss can find value in hearing stories of survival from those who understand. We are survivors of an unexpected, terrible thing. And life DOES go on, as we eventually understand that it’s up to us to decide whether to seek happiness or give up. Breathe deeply and don’t give up. A new chapter is waiting, if we allow ourselves to turn the page. Christina, I love this message today. I believe in Fairy Tales too. And I don’t think they are Faury Tales, really. They are true life just as much as loss and death. I’ve been focusing too much on my loss but today I’m going to focus on my Fairy Tale. Thank you! I loved this message. It spoke to me because at my age this is the only way possible to have a meaningful life. There simply isn’t enough time. I do not see my self becoming a recluse and hiding from the world, but believe me to live in the world it takes a lot of gumption. I feel out of place wherever I am but home. I will not give up, but frankly my resources for help seem to be drying up. I’ve seemed to come to the well after a long line of others in these past years and your book is all I’ve got right now. I’m searching in every page for new information for some personal support. I’ve exhausted the internet for widow groups in my area and there simply are none. That leaves only one option that I start one myself. Any suggestions of how to do that? And your link at the bottom of this message above is no longer active. I see now that it was posted first some five years ago. I need some help and appreciate all you’ve been doing these past years to help others. You have left a great legacy and someone needs to now carry the torch. I’ll be checking back in. Stumbling through life at age 76. I did have an idea. I would like to offer my photography services to any ladies out there who need a good and true portrait of themselves. I promise to bring the very best out in each sitting. The photos will be a treasure and hopefully will help women in grief feel better about themselves. My link below. Amen. Life is more beautiful, richer, overflowing with miracles when seen through eyes that have lost everything. We can reach out and give our keener awareness to others, knowing our home is assuredly at a more cosmic level and we have unlimited love to give.